Are you interested in visual car tuning ? 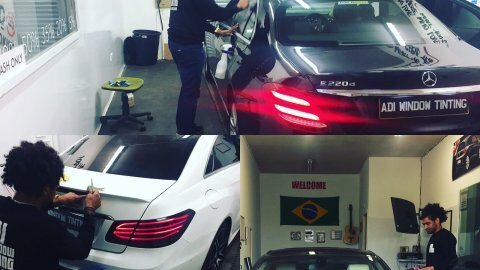 Are you interested in visual car tuning and would like to enhance your very own vehicle for virtually no money whatsoever? If so, the best solution to go for is to tint your windows and probably add some stickers on the sides and at the front of your automobile. By doing so, you will show others that you have your own style and are not afraid to show it. At Adi Wintow Tinting, we can help you with the initial stage of car visual improvement, namely – with covering its windows with a layer of protective tinting material. We have a wide selection of products, so our offer is definitely worth familiarizing with!